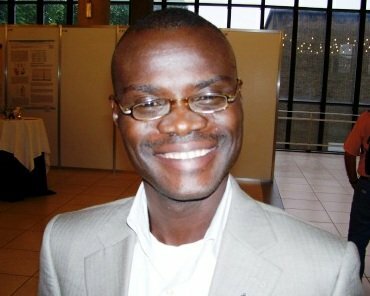 Dr Kolawole Adebayo (Commonwealth Split-site Scholar, PhD in Agricultural Extension and Rural Development, University of Agriculture, Abeokuta, Nigeria and University of Reading, 2001 – 2002) works as Project Manager, Cassava: Adding Value for Africa (C:AVA) at the Natural Resources Institute, University of Greenwich. Cassava is a root crop and staple food across the developing world. Africa produced 117.9 million Mt of cassava in 2007 making it the most important root crop and a major source of dietary calories. Cassava is important as a famine reserve, food and cash crop, industrial raw material and livestock feed. The C:AVA Project is based at the Natural Resources Institute, supported by the Bill and Melinda Gates Foundation. It builds on previous research and pilot activities in many countries in Africa to scale-up market access by working with small-medium scale enterprises, linking producers and processors to growth markets to increase incomes and employment opportunities in sub-Saharan Africa. 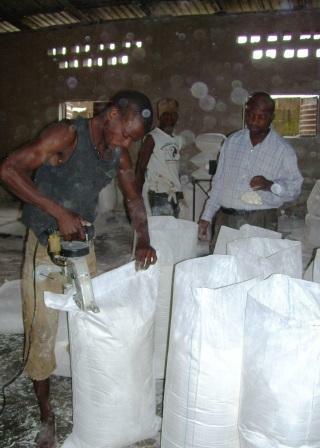 C:AVA aims to develop value chains for High Quality Cassava Flour (HQCF), as a means of increasing small-holder incomes. C:AVA will increase demand for HQCF as a cheap industrial ingredient in food processing operations, bakeries and industry, and works with local partners to nurture rural entrepreneurs and improve rural quality of life. C:AVA focuses on five countries: Nigeria, Ghana, Tanzania, Malawi and Uganda, producing over 60 percent of the cassava grown in Africa. 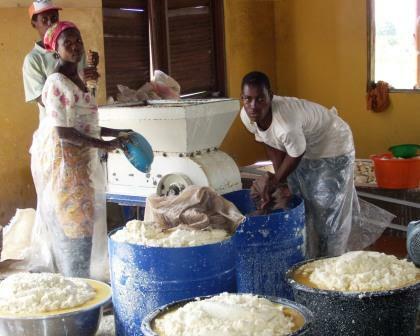 In each operational region, cassava farmers and processors are supported in production and processing activities through partnership with NGOs or other extension services. In Nigeria, while extension services are provided by Ondo and Ogun State ADPs, the Justice Peace and Development Movement and the Country Women Association of Nigeria provide NGO support services. C:AVA began in April 2008 and its implementation in the five project countries was phased in over a 12-month period. The strong roles being played by national and local partners are expected to lead to greater future project sustainability. The purpose of C:AVA intervention at the rural level is to ensure that by the end of 2012, at least 90,000 smallholder farmers are earning additional $0.52 per day from each producing 0.8 tons per farmer of consistent quality cassava grits per annum for the HQCF industry across the five countries. C:AVA now has direct contact with more than 13,000 farmers and processors at village level earning an additional income of between $1 and $3 per day from cassava. Challenges faced by the initiative include: the effects of the global economic downturn, problems associated with policy inconsistency, and achieving common overall goals with stakeholders who can have conflicting interests. As a newcomer to the large commercial food processing sector, there is bound to be concerns about cassava’s quality, not only as a household food item, but also as a raw material or additive in an industrial-based food handling enterprise. Identifying opportunities for sharing expertise and experience across countries. Appreciating that commodity markets are dynamic and those in the value chain including emerging rural entrepreneurs need the capacity to monitor and adjust.